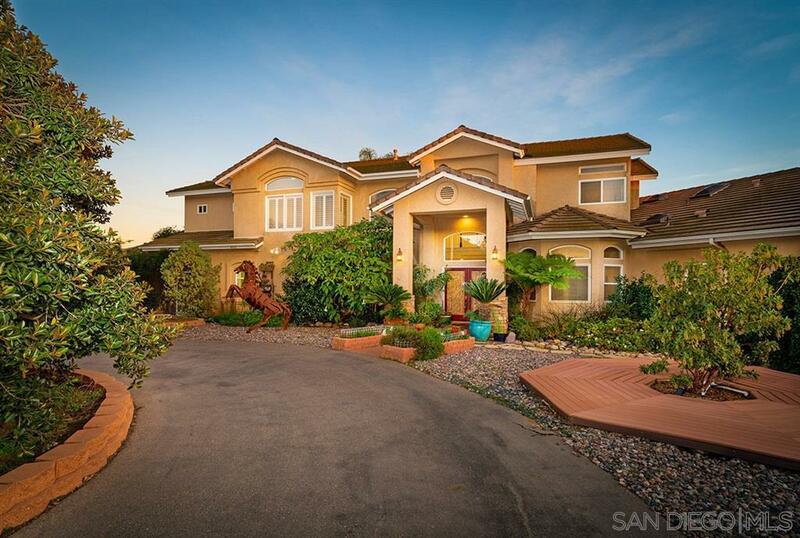 Magnificent equestrian estate, custom designed by architect Jay Foltz & built by Ron Segni, capturing the mountain views & drawing in the natural light. Features 4 bedrooms, 3.5 baths, office space, gourmet kitchen, butlers pantry, custom cabinets, stainless appliances, double oven & granite counters. Luxurious master suite with a fireplace, sitting area, updated elegant master bath with a huge walk-in closet. 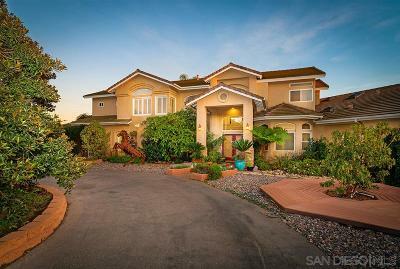 2.36 Acre lot with a pool, built-in bbq, fire-pits, gazebo, solar, horse paddocks & RV hook-ups., In addition to the beautiful design and comfort of this home, the property features enough space to accommodate horses and your desert toys. Already in place are 2.5 RV hook-ups, 2 septic tanks and solar panels. Walking the grounds you will find a variety of vegetation, from the Bougainvillea lined driveway to variety of citrus tress which include blood and navel oranges, tangerine, grapefruit, guava, pomegranate, lime, lemon, peach, avocado and loquat. The pool area has a spa that overflows into the pool, 2 fire-pits, built in bbq and a gazebo. Inside the house, the well thought-out design of the windows draw in excellent natural lighting at the same time offering beautiful views of the surrounding mountains. The large laundry room also includes a built in craft center. Great closet space throughout the house. In addition to the master suite, there is an en suite downstairs. New carpet installed leading up the stairs and throughout the second floor. Second floor has an open loft office space.